Wrapping paper, gifts for grandparents, tangerines, mulled wine, wooly sock, fairy lights...The festive season is upon us, so what else is missing from your annual December shopping list? We say it's something you won't find in shops - quality time with the ones closest to you. So why not give the best possible present next holiday season and treat your loved ones (and yourself) to the joy of spending Christmas day in Europe with our hassle-free tours to the best destinations. To make your decision easier, in this post we review our top 6 European cities that have the brightest fairy lights, the comfiest wooly socks, and the tastiest mulled wine during the festive season. Discover the best places to spend Christmas in Europe! First on our list, the city that needs no introduction, London. The always charming capital of the UK will spoil you with choice of excellent Christmas activities this season. However, as everywhere else in the UK, London likes traditions too, with one of the best Christmas traditions being the Winter Wonderland in Hyde Park, which opens its doors from the middle of November for ten years in a row now. Even the Grinch'iest people find it hard to resist the Christmas spirit in Hyde Park with a long list of festive activities available, including ice-skating to live music or watching The Imperial Ice Stars performing "Cinderella on Ice" or visiting the Magical Ice Kingdom. But if you prefer watching other people queueing for mulled wine or enjoy seeing the panoramic views of London you can do it from 60 m above during a flight with Giant Observation Wheel. The second stunning destination on your Christmas map should be Paris. Many travelers imagine Paris to be grim, dark and cold during this magical time of the year, but Parisians love all things about the holidays just as much as Germans, who invented the Christmas markets back in 1990. So if you're in Paris during the festive season, you will not only witness the Eiffel Tower majestic lights but the whole city sparkle with the annual elegant light display, adorned over 130 streets, department stores, and historical sites. And if you are looking to stay in Paris during the holidays then attending Notre Dame Cathedral on Christmas Eve is a must for a spiritually uplifting evening with an inspirational midnight choir. After two major capitals of Europe, we invite you to wander through a smaller yet equally charming place during Christmas season, the capital of Netherlands - Amsterdam. The magnificent city of tulips, canals and bicycle lovers will surprise you with its enthusiasm for Christmas. The locals do not forget their way of living just because it's that time of the year, so be aware of cyclists when walking or even better - join the crowd! Embracing bicycle way of traveling could be the perfect way to experience Christmas in Amsterdam. During your wheeled city tour, you will see the unique light festival, which offers a contemporary approach to a traditional Christmas scene in the city. Each year a new technique of a lighting installation is implemented, making it a memorable and a different experience each time. By the way, if cycling is not for you, you can still enjoy the spectacular city lights and Christmas spirit from a local perspective - a boat ride along the canals of the capital. If you haven't been to Vienna, there is no better time to visit the magical City of Music than during Christmas. 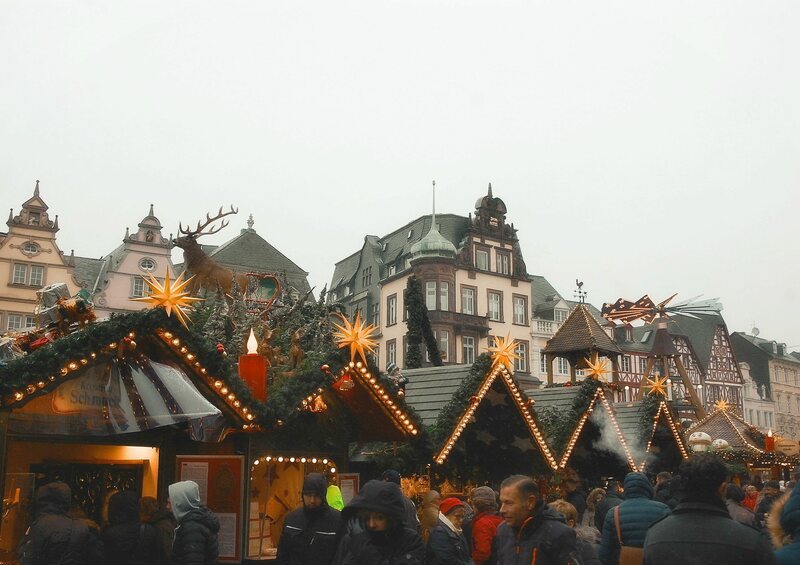 Be prepared to experience the holidays the entirely traditional European way with a visit to one of many Christmas markets, a sip of Weihnachtspunch and a handful of roast chestnut. The capital of Austria is famous for many cultural reasons, but the preservation of Christmas market traditions should be on the top of the list. Visiting the market is often described as a heartwarming experience of spending time with good company and a mug of something warm in front of the fireplace. Except you're not sitting at home, but wandering the streets under the fairy lights, drinking Austrian Christmas punch, taking a bite of delicious Bratwurst sausage in the stunning city of Vienna. Another city in the heart of Europe that takes its Christmas traditions seriously is the capital of Czech Republic, mysterious Prague. There is always something to see or do, so pack your warmest winter coat and get ready to experience Christmas the Prague way. It's worth visiting the city early in December, on the 5th to be exact. That day Czechs celebrate St. Nicholas Eve (also called Mikulas), in which St. Nick gives treats to children who have been good this year (rings a bell, doesn't it?). The annual event usually takes place in the Old Town Square and some other areas of the capital. You can expect to see performances from actors dressed as angels and devils and the St. Mikulas in white clothing, rather than red costume worn by Santa Claus. However, if seeing Czech alternative of Santa Claus is not on top of your priorities then visiting one of the best Christmas markets in Europe should be! Take in the beauty of stunningly lit Old Town Square and enjoy the buzzing holidays' atmosphere. Our last recommendation for top Christmas vacation destinations is nothing short of magnificent - the city of Budapest. The capital welcomes travelers from around the world with the festive market and Advent Feast by the breathtaking Basilica of Budapest. Stay assured - ticking off your gift shopping list will be an easy task with a wide selection of handmade quality Hungarian goodies sold in the market. Also, being hungry in the capital of Hungary is close to impossible, with excellent street food choices from traditional langos to gourmet burger available on every corner. After an evening of productive shopping and eating, we suggest putting skates on and doing couple swirls underneath sparkly lights on the ice rink in front of the Basilica - the perfect ending to your perfect Christmas vacation in Europe. We hope you enjoyed our list of the top Christmas vacation destinations in Europe and felt inspired to experience the magical atmosphere during the festive season next year with our premium tours to these charming destinations! Discover Christmas in London, Paris and Amsterdam with our 10-day small group tour. Visit festive markets in Vienna, Prague and Budapest during our 10-day private tour "Treasures of Eastern Capitals".